A quick word for darts legend Jocky Wilson who died today aged 62. Jocky, as many of you will know, made the often difficult leap from World of Sport ’80’s darts icon to trivia and pop culture legend after having his face plastered twenty feet high as the backdrop to Dexy’s Midnight Runner’s Top of the Pops appearance of “Jackie Wilson Said“. Some said it was an error by a tea boy, others have claimed it was a deliberate joke in honour of the great man. A classic clip for compilation shows, the moment can also be enjoyed on YouTube. 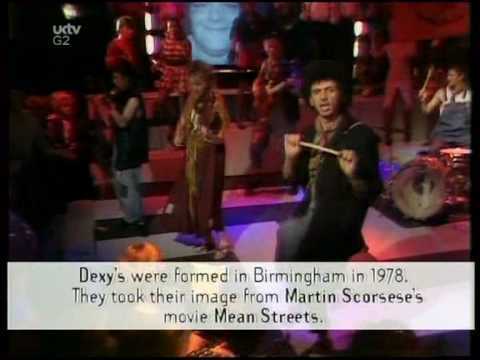 As a further aside it took me twenty years to realise that Dexy’s song was a cover version of a Van Morrison song. The Real Me (W.A.S.P. – a tune I only realised was by The Who when I saw Quadrophenia last year). Jackie Wilson Said (Dexy’s Midnight Runners). Black Sabbath’s “Iron Man” by The Cardigans, anyone?